Regional Rural Bank Exams are conducted by Institute of Banking Personnel (IBPS) every year for the post of clerk and PO. These exams are mostly conducted in the month of August 2019. There is a lot of competition for the posts of IBPS clerk and IBPS PO in RRB. 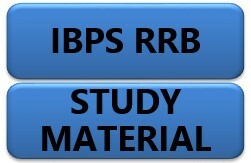 Those who are interested and eligible fill the application for IBPS RRB exam. To clear the exam it is very essential for the candidates to do the preparation of the exam and it can be done best when they will have the study material for it. The best books must be chosen for the preparation. To check the marking criteria, it is important for the candidates to know the exam pattern. When the candidates will know the exam pattern of the IBPS RRB exam, they will come to know how the questions are given in the exam. They can also prepare themselves by practising more when they will know the exam pattern. The pattern can also be checked from the previous year questions papers or the sample papers which are easily available on the various websites. Moreover, it is also given in some books from where the candidates will get an idea how the questions come in the exam of Regional Rural Banks. There will be three sections in the preliminary exam i.e. English, quantitative aptitude and reasoning of 30, 35 and 35 questions respectively. The time duration for the exam is 1 hour for the exam. The candidates must start the preparation now from the books so that they will not have much burden of practicing various topics. All the topics must be practiced properly so that they can attempt the exam well. Thus, the candidates must practice well for the IBPS RRB exam 2019 as there are lot of candidates want to get this job.